Shuswap Climbing: The 11,000ers of the Canadian Rockies: Slideshow. The 11,000ers of the Canadian Rockies: Slideshow. It isn't very often that an official event regarding climbing happens in our region, however Thursday July the 4th is an exception! 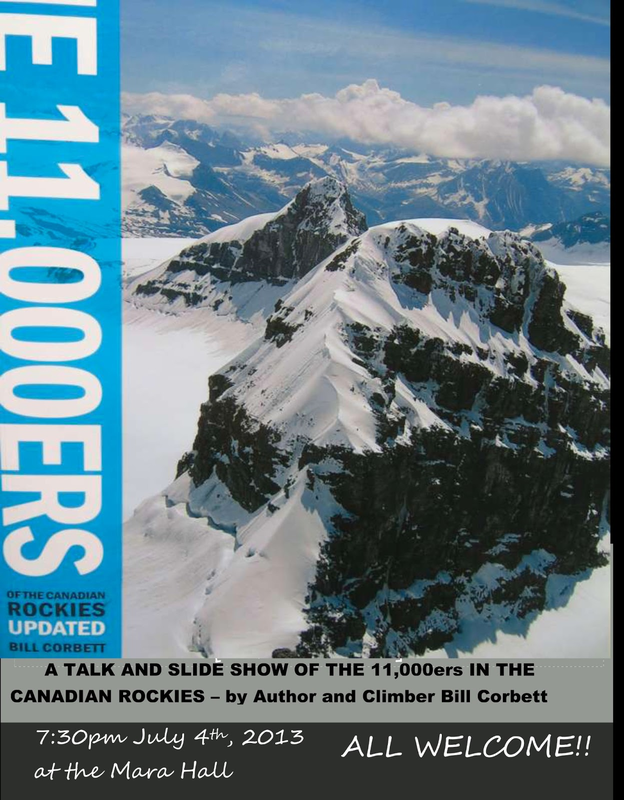 At the Mara Hall at 7:30, there is a slideshow by author and climber Bill Corbett showcasing his experience with the "11,000ers" in the Canadian Rockies! Hope you show up! !